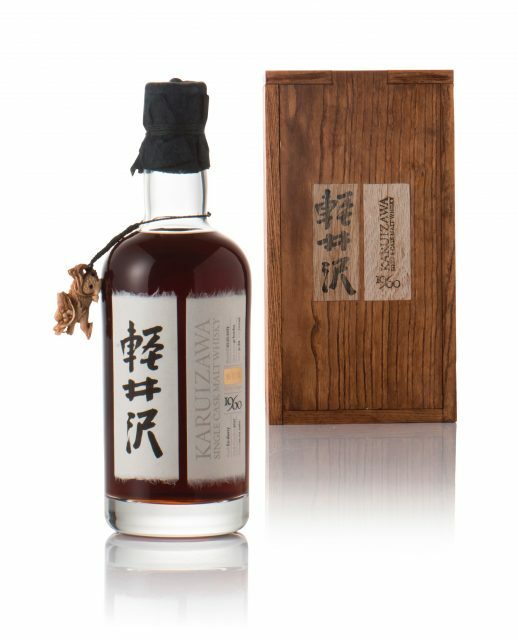 This is believed to be the oldest bottling of Karuizawa after the distillery was founded in 1955, using imported Scottish ingredients for owners Mercian to supply the domestic Japanese market. The 1960 edition comes with a netsuke – miniature wooden sculptures – that hangs from its neck. The 52 Year Old bottle is thus named as ‘The Dragon’ because of the dragon netsuke. Production at the distillery, however, ceased in 2000 after Mercian was acquired by Kirin, and the casks were sold to Number One Drinks. Bottled in January 2013 for a total number of 41, the whisky is aged in ex-Sherry hogsheads, and housed in a Japanese puzzle wooden case. The label has been handmade by Norito Hasegawa, a third generation paper maker, and then embellished by a Master Calligrapher, Soji Nishimoto 西本宗璽. The bottle is expected to fetch HK$1,500,000- HK$1,800,000 (US$191,000 – US$229,000).